Continuing on our journey of a few highlights of Band Pro’s open house, we talked to Fujifilm’s Michael Bulbenko. 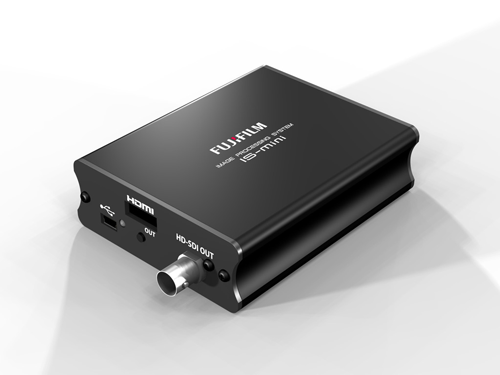 Fujifilm’s big product right now is their IS-mini, on its own “a simple LUT box” as Bulbenko refers to it. However he goes on to show that simple can also mean powerful when it comes to the IS-mini. The IS-mini comes with a MAC/Windows compatible software that lets you create a color profile that stays on your computer, letting you plug in to any monitor at any time to calibrate to that profile. This lets you match all your on set monitors, no matter the type of screen (pro monitor, consumer TV, etc.) or manufacturer. The IS-mini also lets you stack additional LUTs on top of your already calibrated monitors. The only additional equipment you need to get started is a probe, or spectrophotometer, to allow for calibration. Fujifilm sells these as well for around $900.